Elodie Joy Adler is a bright and bubbly little girl. She's sweet and funny and a little wild in that endearing manner that only 3-year-olds can pull off. Playing on the floor of her Old North End home in Burlington, she's the picture of a happy, healthy kid, and her energy is infectious. That's a far cry from how her life began. A little more than three years ago, while pregnant with Elodie, Jamie Williams was celebrating her 40th birthday with friends. Williams' husband, Benjy Adler, had gone all out, renting a remote cabin somewhere in the wilds of Vermont. The party was well into the evening, and the partyers — other than Williams, of course — were well into the supply of booze. That's when Williams' water broke, six weeks earlier than expected. "We had been planning to have a home birth with a midwife, very Vermont-style," recalled Williams, now 43. "Then it was like, 'No, you're going to the hospital. You're going to have a baby now.'" And she did. Elodie was born at four and a half pounds. She could breathe on her own but couldn't stay awake long enough to eat. So she spent the first several weeks of her life in the Neonatal Intensive Care Unit at the University of Vermont Children's Hospital. Williams and Adler described a blur of anxious weeks. "Jamie had the natural compulsion: 'I'm gonna be here. I'm not leaving,'" said Adler, now 37, of his wife, who only left the NICU when told to do so. "They would make me go home to sleep," said Williams. "Then you come back at five in the morning just to hold your baby, because it feels so weird to leave your baby at the hospital and come home without them." The experience was lifesaving for Elodie. And it was transformative for her parents. In November, Williams released a children's music compilation to benefit the NICU called Big Tiny Love. It features 14 songs performed by local artists, including Kat Wright, Joshua Panda, Mark Daly, Swale, Francesca Blanchard and Mister Chris and Friends. The last group headlines a release party for the record this Sunday, December 16, at Burlington's Skinny Pancake, which Adler co-owns. During one of those bleary-eyed visits to the NICU, Williams had the epiphany that led her to curate the record. "I was so tired when I was there, but I was trying to stay awake, so I was kind of hallucinating, I think," she remembered. "I just had this vision of doing this album." Specifically, Williams wanted to find a way to help the NICU in its efforts to expand the facility. As Adler described it, the unit exists in its own little bubble. It's part of the larger hospital but also isolated: You can't visit the NICU unless you have a child there. The small, noisy space is filled with the sounds of a bustling hospital wing: beeping monitors and alarms, parents visiting with their babies or conferring with doctors. "It's one room," said Adler. "And all the kids are crying in this one room, and not all the cries feel normal." "Becoming a new parent is such a trip," said Williams, "but then when you're a new parent and you're in the NICU..."
"No one expects to be in there," injected Adler. The cramped environs of the NICU can add stress to an already tense experience. "Privacy is the biggest hurdle that our families and caregivers have in the space we're currently in," said Jackie Woodwell. She's the events supervisor for the UVM Medical Center Foundation and helped Williams coordinate the benefit album. "We've outgrown the space. At NICU you have critical patients, and some patients may just be there to be monitored," Woodwell continued. "And then you might have families dealing with end of life with their infant. So, to do that all in the public space we have doesn't afford the privacy that every patient and family deserves." Plans are currently underway to expand the NICU, Woodwell explained. She said that efforts like the Big Tiny Love compilation will go a long way toward realizing that expansion by raising funds and increasing awareness. "There's no greater voice than someone who has experienced the care here to help share the message," said Woodwell. Chris Dorman, aka Mister Chris, hasn't experienced care at the local NICU. But about 35 years ago, he and his twin sister were born 10 weeks early at a U.S. Army hospital in Frankfurt, Germany. They each weighed less than three pounds. "We're here because of [a] NICU," said Dorman. The host of the children's TV show "Mister Chris and Friends" on Vermont PBS, Dorman wrote the title track for the comp. For inspiration, he interviewed Williams, another NICU parent, and his own mother. "I was trying to put myself in that space that Jamie described," explained Dorman, who is now a father of two. "I experienced it as a baby, not a parent. So I drew upon that really vulnerable feeling of being a parent. But I wanted to know even more," he said. "I found a lot of inspiration there." "Big Tiny Love," the album's opening song, is sweet and pretty, colored with ringing chimes and swooning strings that impart a soothing, almost ethereal calm. At the chorus Dorman sings, "Big tiny love, it's time to come home / I know that you know the way." The line is meant to be affirming and hopeful, but it also gently acknowledges a tragic truth. "I intentionally wrote that knowing that 'home' could mean a lot of things," he said, "knowing that not every family gets to welcome their tiny babies to their houses. They might be going to however you envision the next stage after life. "It feels like the saddest thing in the whole wide world to me," Dorman continued. "But that's the reality." Rich Price is in the band the Sweet Remains and is also a parent with direct experience in the NICU. 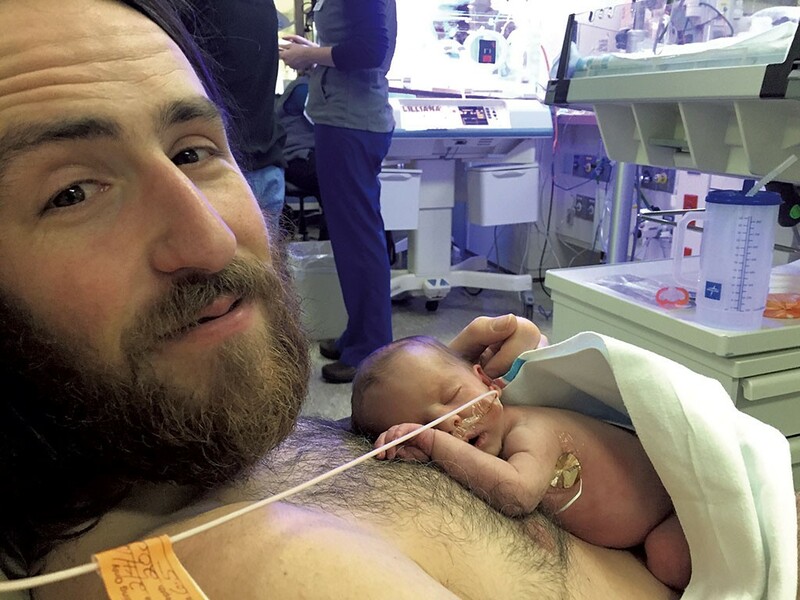 The Burlington songwriter's twins were born at 31 weeks, after which they spent several weeks in the NICU — and more time later in the Pediatric Intensive Care Unit. "There are a ton of angels in that place," said Price of the NICU. "It's an important asset for this community." The Sweet Remains' contribution to Big Tiny Love, "I Bid You Goodnight," is a song the band uses to close its shows. Now it closes the comp, bookending with the title track. In between, some of the Burlington area's finest bands and musicians offer a mix of original tunes and covers of royalty-free songs, such as Joshua Panda's gospel revival-ish take on "Swing Low, Sweet Chariot" and Lowell Thompson's trail-worn "Home on the Range." Before she became a full-time stay-at-home mom, Williams was the stage manager for the Northeast Kingdom Music Festival for five years. Prior to that, she was a project manager for the Blue Man Group in New York City. She also has extensive experience through her company Von Dier Video Productions. That familiarity with the entertainment industry proved helpful in producing Big Tiny Love and soliciting submissions for the comp. "I think Jamie has tapped into what's special about this music community," said Price. Elodie likely agrees. Williams said her daughter's favorite cuts are Daly's upbeat and interactive original "The Alder Tree" and the horn-fueled "If You're Happy and You Know It" by rocksteady band Steady Betty. "She was my main test group," said Williams of her daughter. She added that "Glitter Bows and Backhoes," a pretty bluegrass song about challenging gender norms by duo Pap and Tot — aka Pappy Biondo and his wife, Tomlynn Biondo — is another song in heavy rotation. 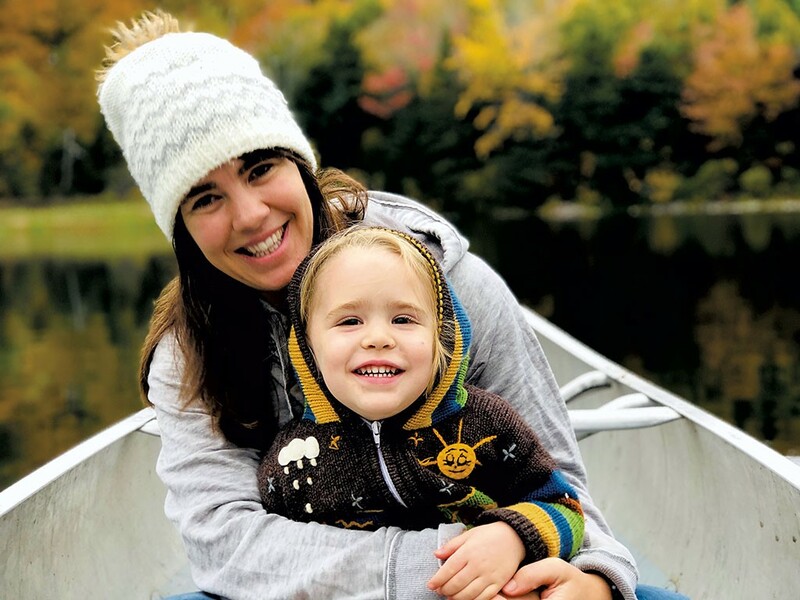 Ditto Dorman and Wright's "Something Beautiful," which they wrote as the theme song for Let's Grow Kids, a statewide campaign that champions affordable childcare in Vermont. For all of the local talent gracing the compilation, Williams said she wishes she could have included many others. And perhaps one day she will. "I feel like the well of music talent in Vermont is so deep, we could easily do this again," she said. Disclosure: The author's brother, Tyler Bolles, is a member of Swale and Mister Chris and Friends. The original print version of this article was headlined "Care Package"